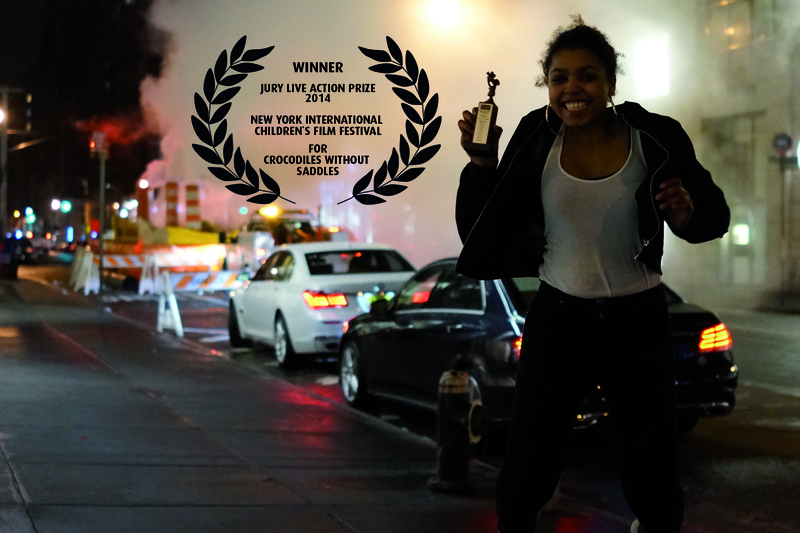 Crocodiles Without Saddles won the SPECIAL JURY AWARD // Best Live-Action Short at the 17th Annual New York Int’l Children’s Film Festival for Crocodiles Without Saddles – OSCAR® QUALIFYING FOR 87th Academy Awards® NYICFF is the nation’s largest festival for children and teens. The 2014 jury includes actors Geena Davis, Matthew Modine, Susan Sarandon, Uma Thurman, and Jeffrey Wright and filmmakers and animators John Canemaker, Bill Plympton, Henry Selick, Gus Van Sant and Taika Waititi (complete jury below). As an Oscar-qualifying festival, NYICFF jury winners qualify for consideration for the 2015 Academy Awards in the Live Action and Animated Short Film categories. Memories do not follow a chronological order – nor does Britta Wandaogo’s film. Her 12-year-old daughter Kaddi thinks about the meaning of life and the role she plays in her German and African families. The filmmaker finds material in her archive which makes long-forgotten qualities and strengths visible to Kaddi. This very personal, almost intimate dialogue between the mother’s images and the daughters’s words shows how memories can be cultivated to make the here and now more comprehensible. Filmprize – GROSSE KLAPPE „GROSSE KLAPPE“ awards European films promoting an aesthetical approach to documentary culture and the political consciousness of children and adolescents. Federal Agency for Civic Education endowed for the first time the Prize for Political Documentary for Children and Youth.